Learn how to copy an existing or previous event to the HelloCrowd container app or your custom event app. There is no need to recreate your event, you are able to copy your events effortlessly to a different app. Select the icon on the right side of event name on your dashboard. Select Copy at the dropdown. 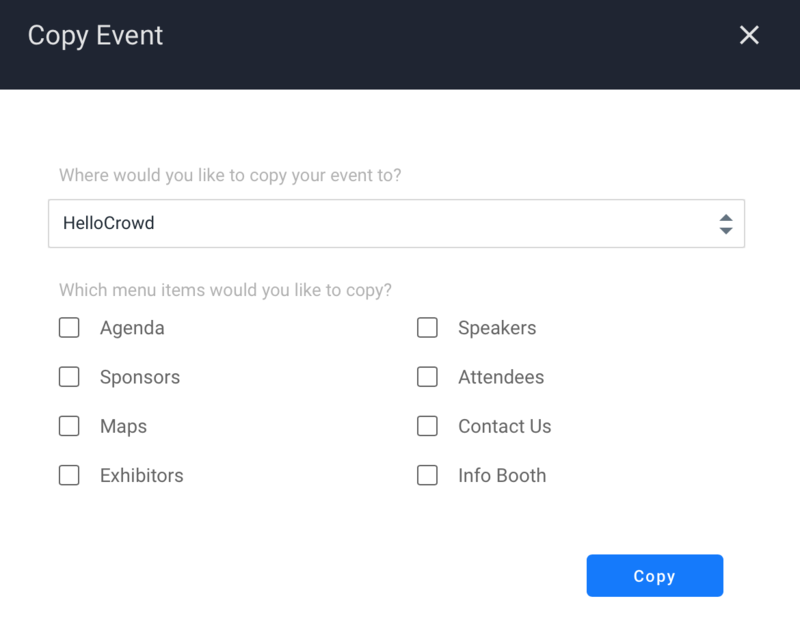 Choose where you would like to copy your event to (HelloCrowd container app or custom branded event app) and select the features to copy.